POLICE are asking people to take photographs of inconsiderate or dangerous parking near school in a bid to promote greater road safety. ‘Operation Lollipop’ has been launched in Alvechurch and Wythall and parts of Bromsgrove and is part of a ‘You Said, We Did’ initiative. 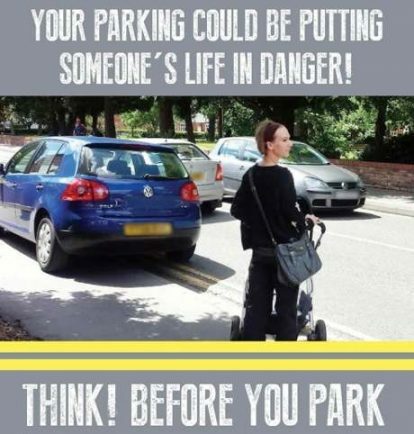 Inspector Gareth Keyte said: “We are asking members of the public to take a photo and send it to us if they see vehicles parked in a dangerous or inconsiderate manner which could pose a risk to children, vulnerable people or other road users. “West Mercia Police is committed to trying to make sure vulnerable road users and local communities feel safe, and we’d appreciate your help with this. “With new technology there are a number of different ways of tackling this type of offending, and digital images and footage provide good evidence when resolving parking incidents on roads outside schools. “Although it has always been possible to report these incidents to the force, this new initiative provides a useful facility for the public to share images and help raise awareness and bring justice to those who continue to park inconsiderately and dangerously. “This kind of evidence is strongest when supported by details of the time, date and location of the vehicle when the photo was taken.